As a lover of the great outdoors I now find that, after 20 years of office work, an environment free of plants is a depressing and sterile place. Consequently I grow succulents in my office, they are no substitute for a garden but in addition to cheering me up with their greenery and unusual shapes, there’s some evidence that plants clean the air around them to boost our health. The actual difference indoor plants make to air pollution in a real world setting filled with screens and computers is hard to measure, but there’s little doubt they have a positive impact even if purely psychological. Succulents make ideal office plants because they are very low maintenance. The majority of succulents grow naturally in arid climates like deserts, they don’t need (or indeed like) too much water and that makes them the perfect plants for an office. Offices are full of busy people focused on their work or even away on business for extended periods, succulents don’t mind being ignored for a few weeks at a time as long as they’ve got a reasonably sunny spot close to a window. 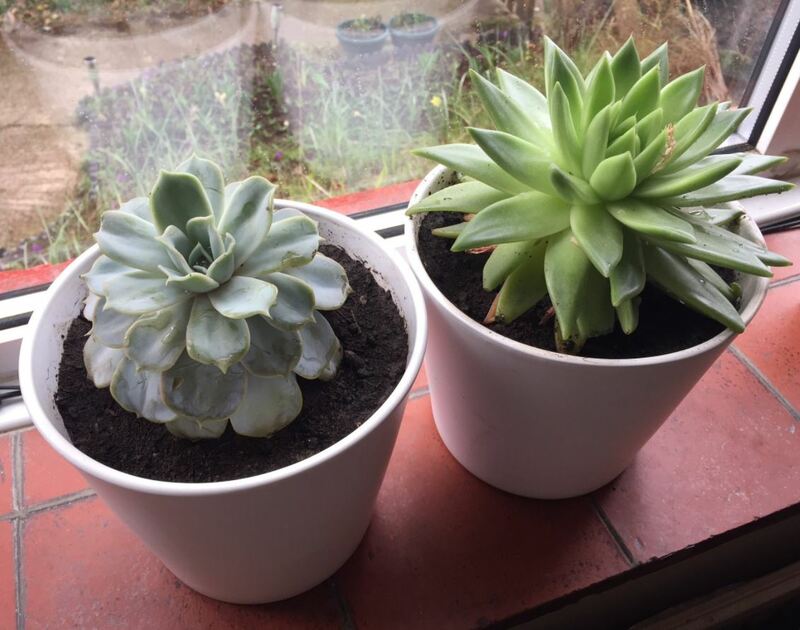 I’ve seen many an office plant drop dead because watering it isn’t on anybody’s responsibility radar, in my experience succulents are almost indestructible, just watch out for sun scorch on windowsills during peak summer. Last week I potted up a tray of new succulents which I purchased from Lidl back in the summer. The tray had been sitting in my greenhouse for at least three months without water (and it had been very hot in there at times). Now with cold weather and frosts arriving I thought it only fair that I give the plants some attention and the pots they deserve. 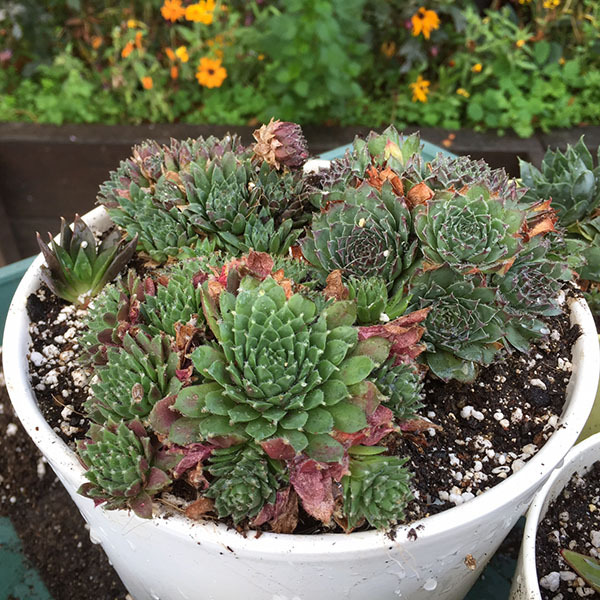 Freezing temperatures are NOT the best thing for succulents, even those growing outside should be brought inside during the winter for protection. When potting up succulents drainage is very important, I use a soil mixture of 50% compost, 25% Perlite and 25% Horticultural Sharp Sand. This mixture provides nutrients for growth whilst at the same time allowing water to drain from the top of the pot to the bottom encouraging longer roots and stronger plants. For their first watering after potting up I use rainwater rather than tap water. 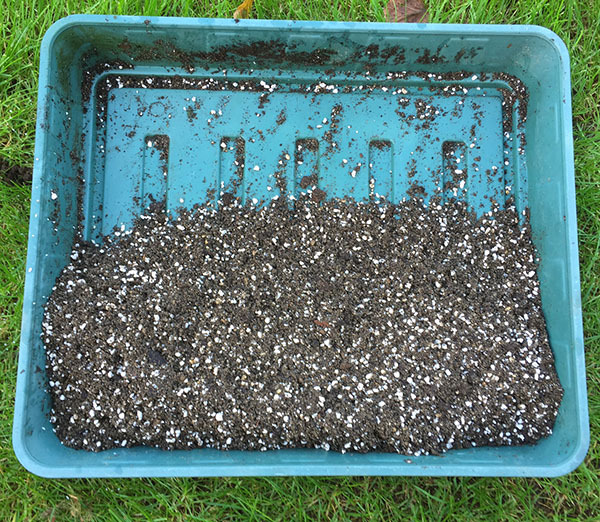 I think for any newly sown seeds or potted plants rainwater is the most gentle drink you can give them at what is for them an important and stressful time. 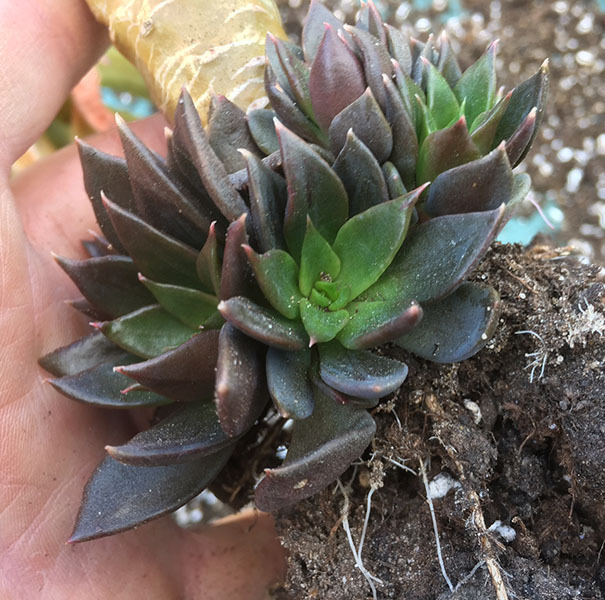 As well as potting up the new succulents I took the opportunity to propagate one of my oldest indoor plants – an Echeveria Black Prince. These succulents tend to get a bit tall and leggy after a year or too, toppling over to one side which can cause a pot to become unsteady. Thankfully they propagate very easily with smaller Echeveria offspring growing at the base of the stem. 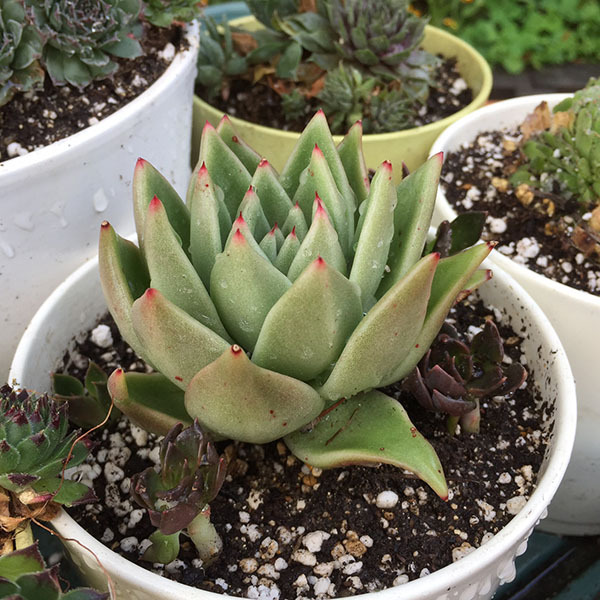 These baby Echeveria are easily prised away from the main stem and because they come with their own roots they are easily placed into a pot immediately. 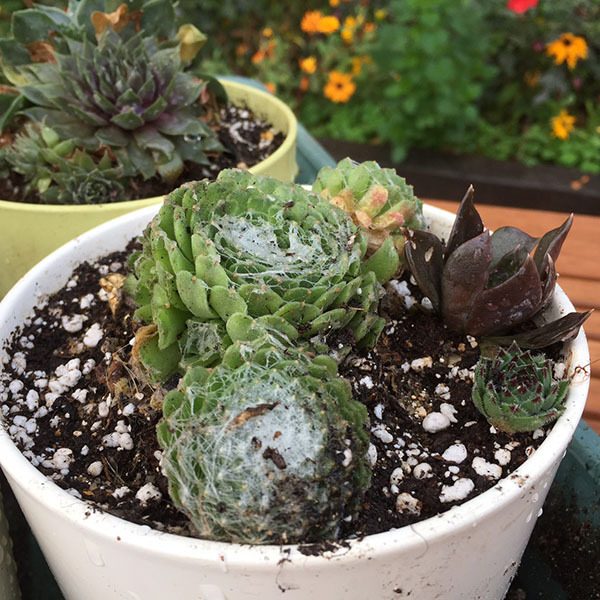 I took a few and placed them beside some of my newer Lidl succulents and then discarded the original ugly Echeveria. 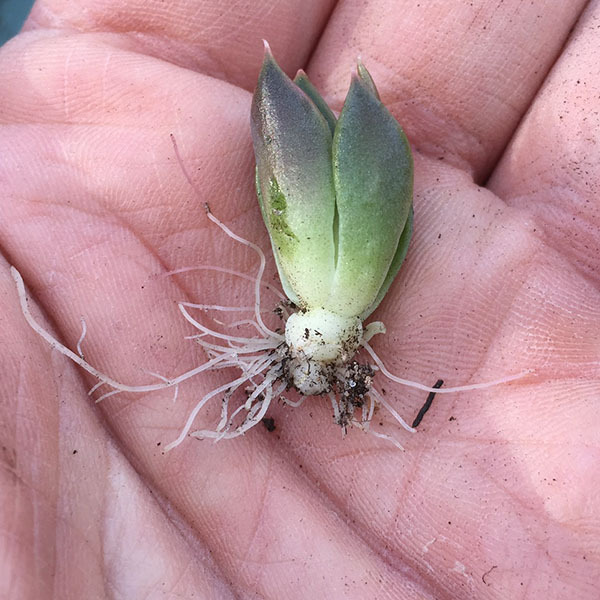 Other succulents will often propagate from a healthy leaf if simply removed from a stem and left to lay on top of some soil for few weeks, eventually roots appear and the new plant can be potted up. I generally don’t worry too much about using a pot with a drainage hole in the bottom for my indoor succulents, the trick is not to water them more than once a fortnight so that water never collects in the bottom of the pot. 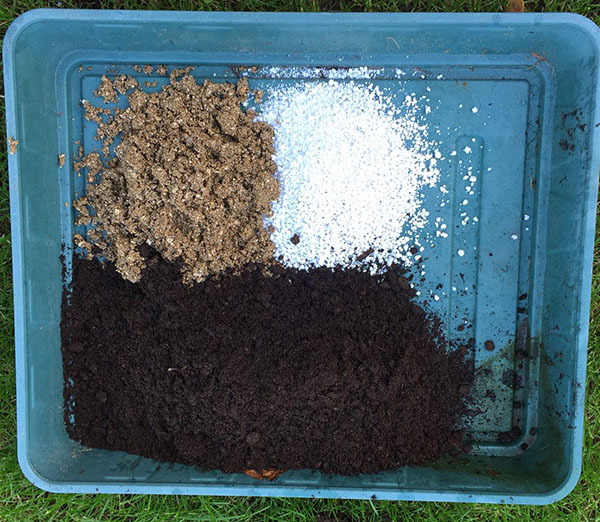 Water directly onto the soil beneath the plants with perhaps 5mm of water depth once a fortnight. If the plants are in a sunny spot beside a window that will be ample and they will thrive. If you don’t have easy access to rainwater in an office (why would you?) then leave a glass of tap water for 24 hours before using it, this allows the chlorine and chemicals to dissipate. 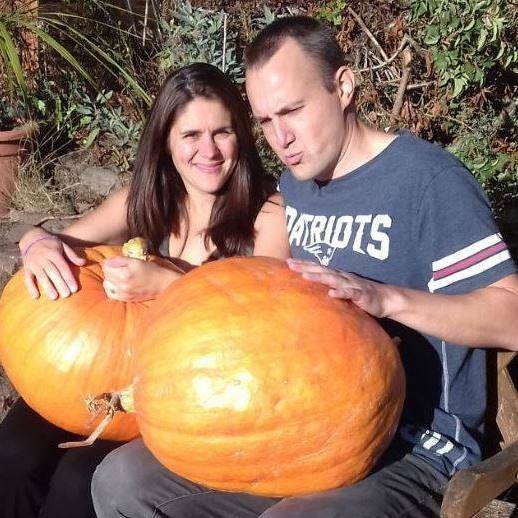 Next Article Are you a safe gardener? Beware of unexpected injuries! Yes it’s the same stuff, good drainage is the key.